Every year, Mount Vernon hosts a Purple Heart ceremony in commemoration of the U.S. Army’s birthday to honor a tradition that began with George Washington. In 1782, Gen. Washington became the first commanding officer to recognize soldiers with an award issued regardless of rank. 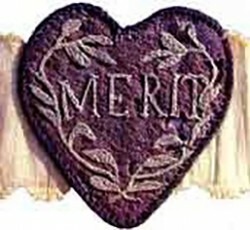 That award, called the Badge of Military Merit, was made of purple silk and silver thread fashioned into the shape of a heart. In 1932, that award was re newed and became the Purple Heart that we know and respect today. The Purple Heart awarded today to three courageous soldiers features Washington’s bust and his family coat of arms, and for the veterans who have received the Purple Heart through the years George Washington’s legacy remains close to their hearts. Leaders today can and should embrace that tradition and initiative and offer public recognition to those who serve them and their organizations in any capacity. This entry was posted in PRofessional Solutions News and tagged leadership, staff recognition. Bookmark the permalink.